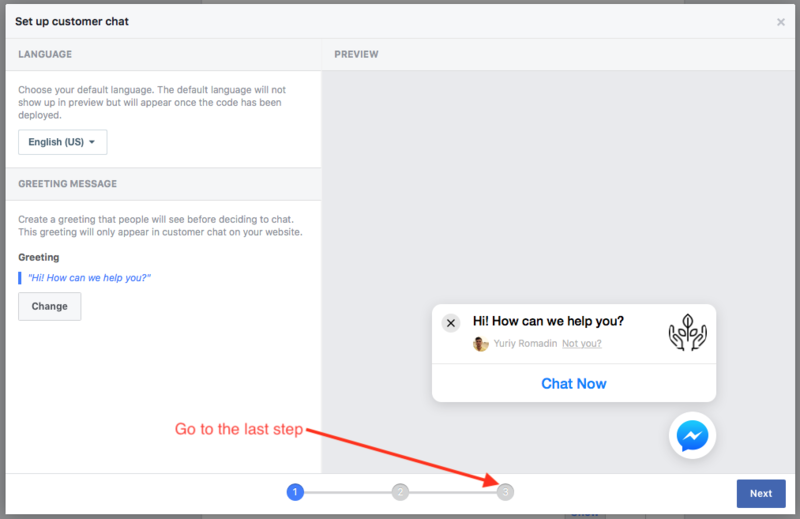 The Facebook Messenger customer chat plugin allows you to integrate Facebook live chat experience directly into your store. This allows your customers to interact with your business anytime with the same personalized, rich-media experience they get in Messenger. 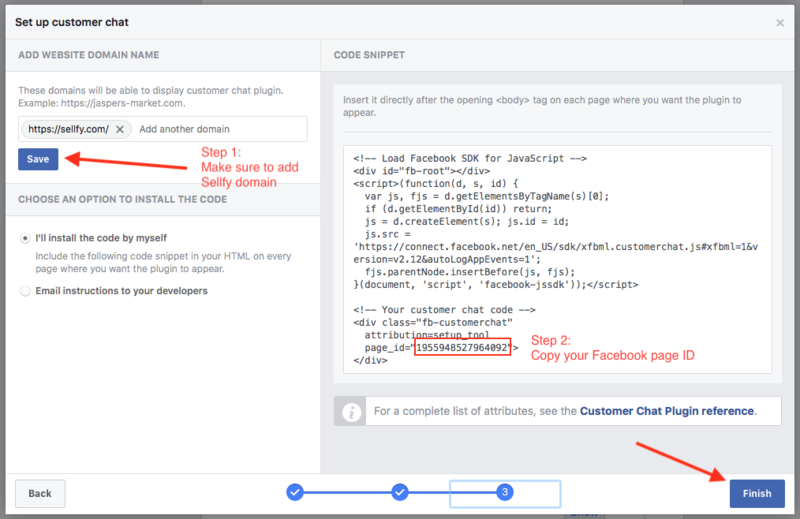 The customer chat plugin automatically loads recent chat history between the person and your business, which means their recent interactions with your business on messenger.com, in the Messenger app, or in the customer chat plugin on your website will be visible. This helps create a single experience for your customers and enables you to continue the conversation even after they have left your webpage. No need to capture their information to follow up, just use the same conversation in Messenger! 3. In the "Add website domain name" section you need to add https://sellfy.com and click the "Save" button. Once it's done, copy your Facebook page ID from the field on the right side of the screen and click the "Finish" button. 4. 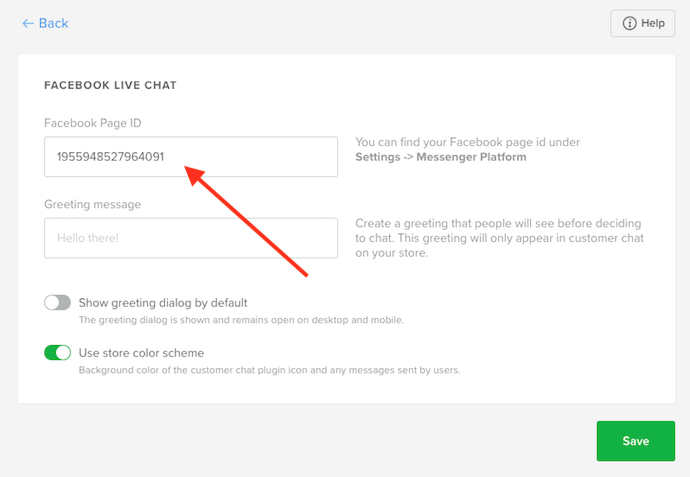 In your Sellfy account, open the Facebook live chat setup page - and paste your Facebook page ID into the entry field. Edit the Greeting message, which is the default message your store visitor will see when they open the chat for the first time. Show or hide the chat dialog by default. Recommended option = off. 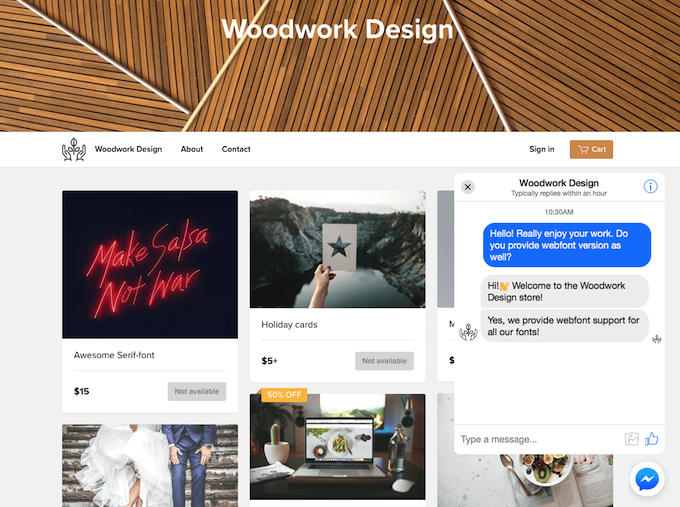 When it's turned on, your store visitors will be presented with a large chat window. When turned off, there will be a chat icon that will expand when clicked on. Choose whether you want the chat dialog to use your store's color scheme or the default Facebook color scheme. 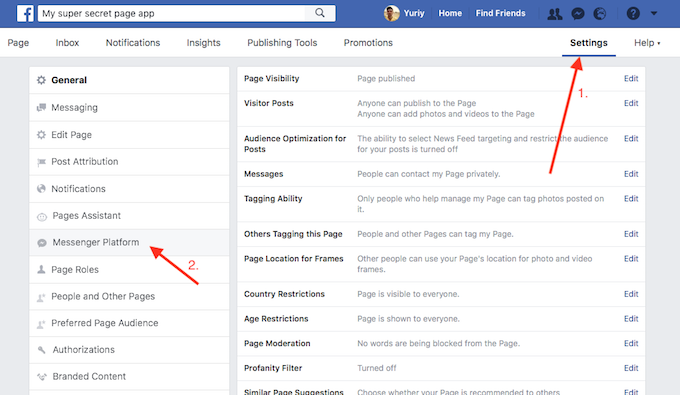 Important note: Your Facebook page visibility should be set up to "Published" in order for the chat to work on your store/website.